She is currently the Director for Headstrong Theatre at Mountain Ridge Middle School in Highlands Ranch, Colorado. This is her 14th year in education and she has taught all levels from kindergarten to college but enjoys middle school the most! She holds undergraduate degrees in Theatre and Journalism and a master's degree in Theatre Education from Texas A&M University in College Station, Texas. In her spare time, she loves snow-shoeing, fly fishing, yoga and singing. This summer she will also be traveling to New York City to participate The Freddie G. Fellowship Experience! He is a professional Music Director and has had the privilege of playing keyboards on Broadway, playing and conducting National Tours, coaching and playing for Tony Award Winning Actors and Actresses. Some of his Broadway/Touring credits include: “Saturday Night Fever”, “The Lion King”, “Mamma Mia”, “Little Shop of Horrors”. As a composer he has written several oratorios, several full-length musicals and several edutainment musicals for elementary school students. He is the creator of “The 5 Minute Piano Lesson”, Internet video piano lessons. His proudest accomplishment is being the father of Willow and Orion, and husband of Kristen. She is currently in her 14th year as a middle school language arts teacher and still loving every moment of it. For her undergraduate work, she studied English at Cornell College in Mount Vernon, Iowa. She also holds a Masters in Curriculum and Instruction. As an eternal student, she continues to pursue educational opportunities wherever they arise, including work toward her History certification, and a two week-long immersion course with the Colorado Writing Project. At Mountain Ridge, you may see her coaching Cross Country and Track, or supporting the amazing arts programs. Her outside interests include spending time with family, mountain biking, and playing trombone in a multi-generational jazz band. She is a student at the University of Wyoming working towards her Bachelor of Fine Arts in Musical Theatre. She's appeared in shows such as Women Playing Hamlet, Angry Psycho Princesses, and Legacy of Light. She started with Front Range Theatre Company as a camper, and now has had the pleasure of being an assistant director and acting coach for Legally Blonde Jr., 13 the Musical, Guys and Dolls Jr., and The 25th Annual Putnam County Spelling Bee. In her free time, Corinne enjoys knitting and spending time with her family and her dogs. Kiera was raised with a strong love and appreciation of the performing arts, starting at a very young age. She first started in dance classes at the age of three, and has been studying dance ever since. Kiera has a wide variety of experience and is trained in many different styles including ballet, tap, jazz, contemporary, and musical theatre. She loves to share her passion for theatre and dance with others, and has choreographed ten productions over the past five years. This however, will be her first summer taking on the role as "director-choreographer” and she could not be more thrilled about it. Kiera is a graduate of Mountain Vista High School and is currently an undergraduate student at the University of Northern Colorado, where she is pursuing a major in Theatre Education and a minor in Dance. In her spare time, Kiera likes to spend time with her family, go on adventures with her friends, and eat all the tacos and burritos she can. She is a long-time resident of Highlands Ranch, having moved her family here in 1989. She has participated in theatre since her high school years. She taught school in Georgia and Virginia before moving to Colorado. Barb earned her Colorado Drama Teacher Certification from UNC in 2002 and was the theatre teacher and director at Highlands Ranch High School until her retirement in 2013. During her years at HRHS, Barb taught many acting classes, some tech classes, and created and directed an Improv Class and Performance Group.She directed more than forty productions for the main stage. Some of her most successful shows were: Les Miserables, Aida, Jesus Christ Superstar, Amadeus, Of Mice and Men, Romeo and Juliet, To Kill a Mockingbird, One Flew Over the Cuckoo's Nest. A number of her graduates gained acceptance and scholarship to college drama programs, and a number of them are now working in the business on both coasts and in Chicago. Barb taught film acting classes for PEAK Acting Studios last year and owns her own acting workshop program: In the Wings - Acting Workshop. Barb believes that an acting background encourages an individual to build confidence, a strong work ethic, a strong ability to communicate well with a variety of people/groups. Working with a group toward a common end - a first-class stage production - is great fun and extremely satisfying. Originally from Parker, CO, Tyler “Ty” Eatherton is an up and coming director and educator in the Colorado theatre scene. Receiving a degree in Theatre Education from the University of Northern Colorado, Tyler has directed many shows, both colligate and children’s, including Mary Poppins, Thoroughly Modern Millie Jr., The Door, and Good Kids. Tyler has also instructed many different educational workshops and camps for students just entering the theatre scene to seasoned pros. Tyler strives to promote collaboration and creativity, and above all, push students to continually create and explore with the arts. This will be Tyler’s third summer with Front Range Theatre Company and he is excited to continue working with such talented young actors and actresses. Nicole Iannone is so proud to be a part of this amazing and innovative project. Nicole has been involved in theatre her entire life but once her own children started acting she found that leaving the onstage stuff to her girls is what she loves most. She is the Ponderosa Theatre Parents President and has worked with Front Range Theatre Company for 3 years. This show struck a personal nerve since she was the primary caregiver for her elderly father-in-law and watched 2 grandparents suffer and pass from dementia related illnesses. This past Spring, she took a class in grant writing to help fund FRTC productions. She has enjoyed working with Mitch and NextFifty immensely and she is hoping to continue writing grants and finding new ways to fund local work. Isley is currently a student at the University of Colorado Denver. She has been making and putting together costumes since she was very young, and has continued her passion by costuming for theatre productions professionally over the past five years. She loves to cosplay in her free time, attending events and conventions in her costume creations. When she is not sewing, Isley enjoys drawing, face painting, hair and makeup, and working on projects as a 3D animation student. Erika is a Senior at Mountain Vista High School. She got involved with the performing arts at a young age and has loved it ever since. When Erika isn't performing on stage she enjoys photography, choreographing musicals at Mountain Ridge Middle School, and fulfilling her leadership position in the DCSD student board. She also likes eating good food, watching Law & order, and spending time with her friends and family. Erika hopes to major in Theatre Education/Musical Theatre in order to expand her knowledge in the arts and help others find their passions. ​Erin is a freshman at Northeastern University in Boston, MA. She has been involved with all things dance, theatre, and singing since she was a young girl. Even when she isn't on stage performing, she can be seen backstage, stage managing or taking action shots of the show! Erin loves photography and journalism and hopes to critically write about there. She hopes that theatre is always a part of her daily life! 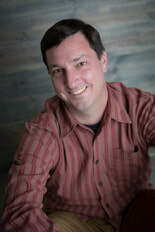 Greg has been a volunteer, stage performer and the accountant/bookkeeper for Castle Rock Players, Inc./Front Range Theatre Company since 2002. He has been a volunteer for virtually every production, and has performed in almost 20 productions, melodramas, and radio plays with them. 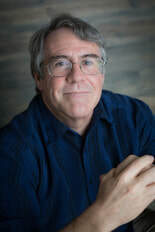 In his spare time, Greg loves history and science, and he has also recently added ‘playwright’ to his resume, and the honor of his first play being produced by FRTC. Greg lives in Castle Rock with his wife, Bonnie, and four cats and a dog, in that order. He is a CPA and has his own bookkeeping and tax business.